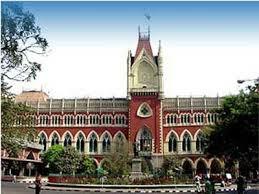 The Calcutta High Court today stayed the ongoing panchayat election process in West Bengal till further orders. Justice Subrata Talukdar also sought from the State Election Commission, SEC's, a comprehensive status report by Monday on the poll process. The report has to give details on the number of nominations filed and the percentage of nominations rejected, amongst other information. The Court said it would hear on 16th April the pleas challenging the SEC’s decision to withdraw its 9th April notification, which had extended the date for filing nominations by a day.